When we pick up the Redmi Note 7 Pro, we just wonder — How did Xiaomi manage to offer such features at Rs 13,999? This phone has a flagship level 48MP camera, powerful hardware, solid and good looking build quality and packs good battery life as well. 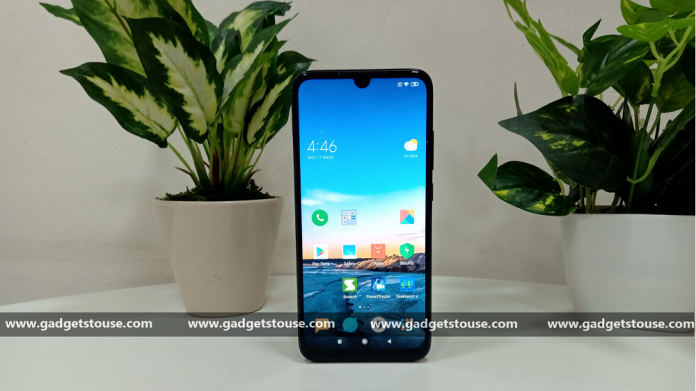 We can say that currently, the Redmi Note 7 Pro is perhaps the best budget smartphone available at such price. The phone looks stunning with its solid glass back design, however, there have been a lot of talks about its build quality. 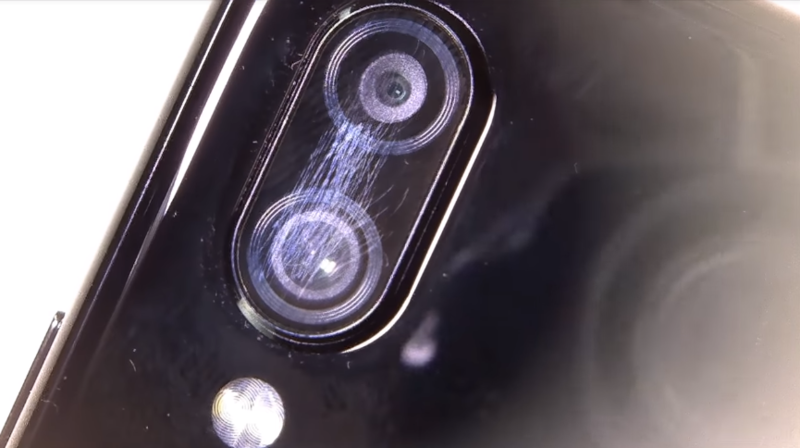 After its launch, the company itself posted some videos of Redmi Note 7 durability test where it was thrown down the stairs and even walnuts were smashed on it. It was shown surviving those tests. 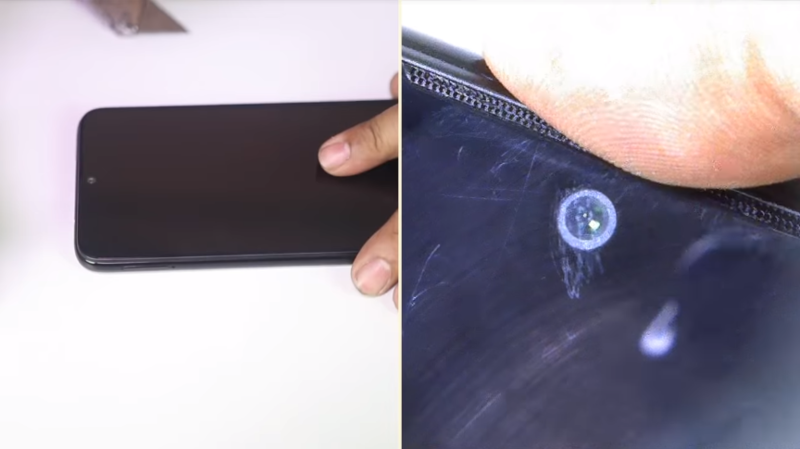 So, we also decided to do a durability test of this phone and here are our surprising results. The Redmi Note 7 Pro’s front is protected with Corning Gorilla Glass 5. We scratched its front glass with a sharp knife, and we could see that it got scratches easily around the front camera. 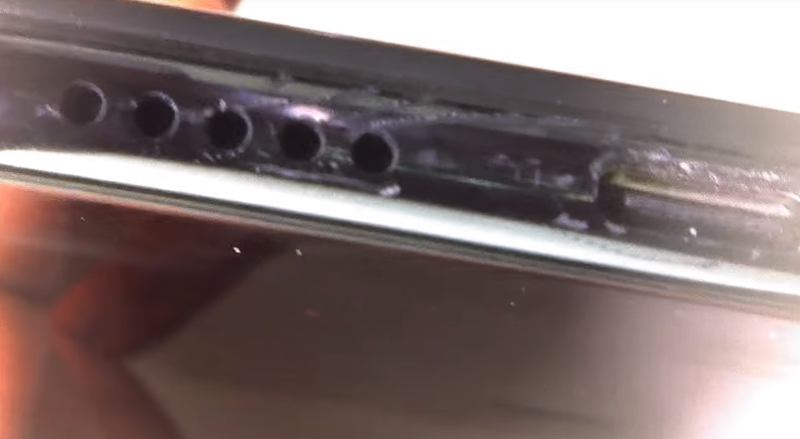 Interestingly, the rear panel of the Redmi Note 7 Pro is glass and it is also protected with Gorilla Glass 5. We tried our scratch test on the back of the device as well. To our surprise, the fingerprint scanner remained unharmed. However, there was a small scratch mark after hardly tying with the knife. Overall, the device’s glass panel is way better than plastic panels. Then we moved to the rear camera module and scratched its glass with the same knife. We found the camera glass is of good quality. We could hardly make any scratches in our initial impressions. However, after trying hard with the knife there were scratch marks on the marks. The test also revealed the weak spots around the power key and volume rockers. Actually, the buttons are made of plastic and they can be scratched easily. The plastic frame is also weak. 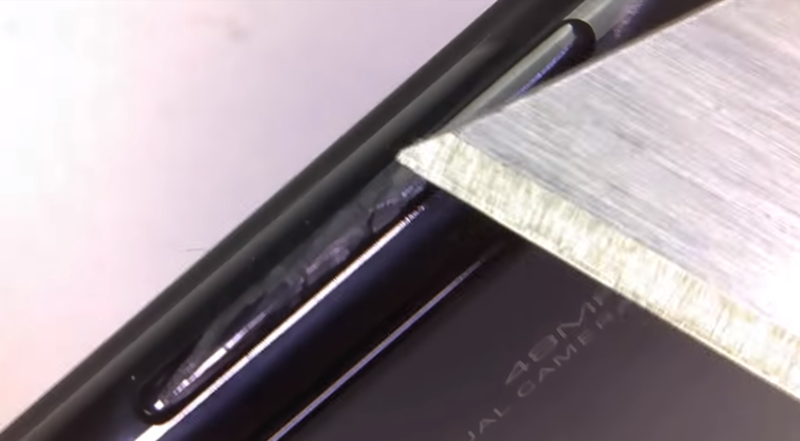 It can be scratched easily but you need not to worry here as there is no way you gonna scratch the frame of the device. Also, the plastic used is of good quality and it doesn’t affect the overall build quality. 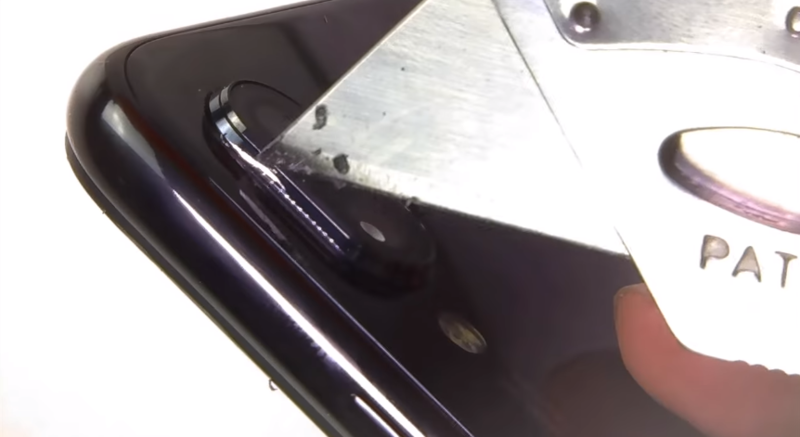 The bottom part of the phone is also made of plastic. There are speaker grilles, USB Type C port and a microphone at the bottom. When we scratched the bottom of the device, it gets scratched easily on all the speaker, USB port, etc. 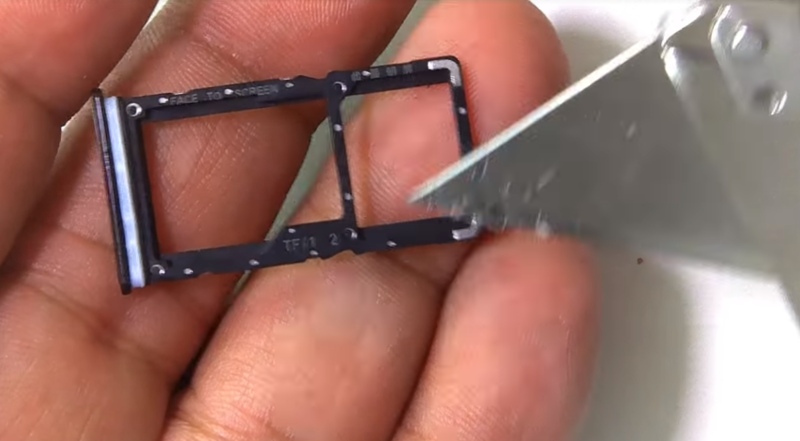 The SIM card tray is made of plastic and metal. This combination keeps the tray from breaking. This is a hybrid type SIM card tray which is common in most of the mid-range phones. Overall, the SIM card tray’s durability is good. The camera frame is made of metal. 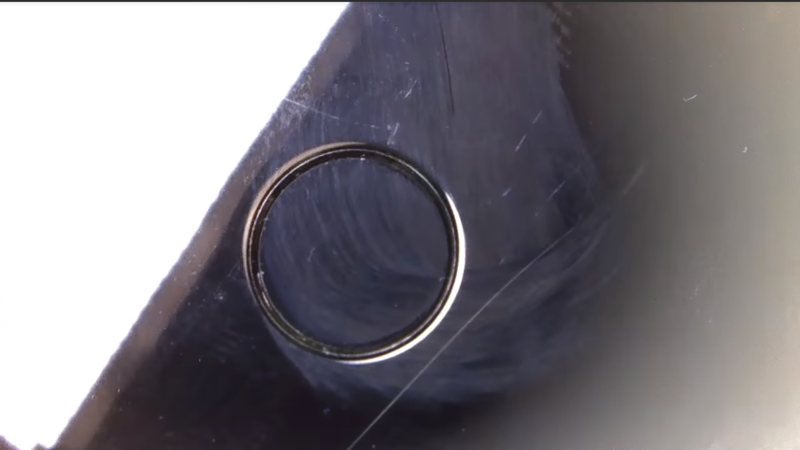 We tried to scratch it and found the metal sandwiched between the glass back of the phone and glass on the camera module. It is actually good as it will make the camera module safe because of the durability of the metal. Coming to the conclusion, going by its price that is below Rs. 15,000, the Redmi Note 7 Pro offers a good build quality. However, there are compromises here and there whether it be buttons or the frame of the device where plastic is used. Although we see such compromises in other mid-range phones too. Again, looking at the bright side, the hardware, the looks, and the cameras are such features that are not at all compromised. If we still talk about durability, the device can last for at least one year. I love the Glance feature. It cures all my boredom!